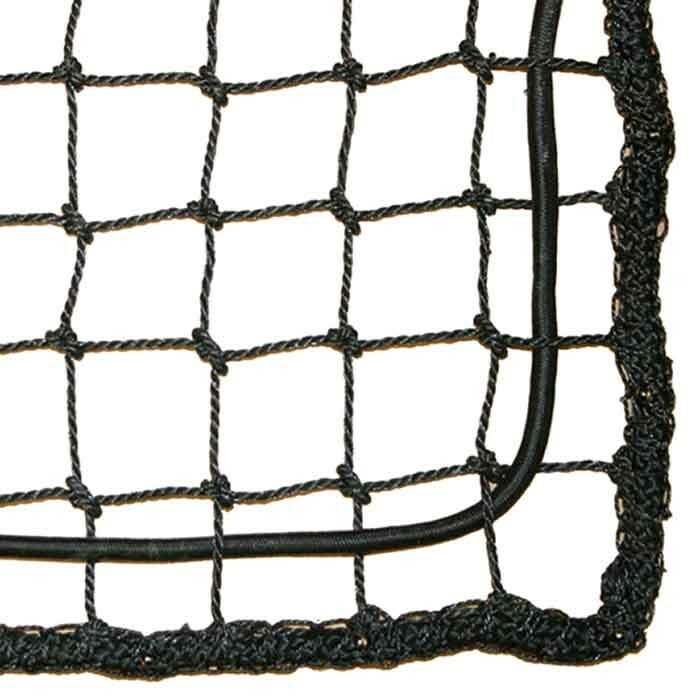 This trailer net has a reinforced selvage and is supplied including a rubber shock rope 6mm diameter all round. Due to the high elasticity of the shock rope the net can be kept tight even when bulky goods are loaded. The very strong and long lasting polyethylene material has a high uv-resistance and does not absorb water. 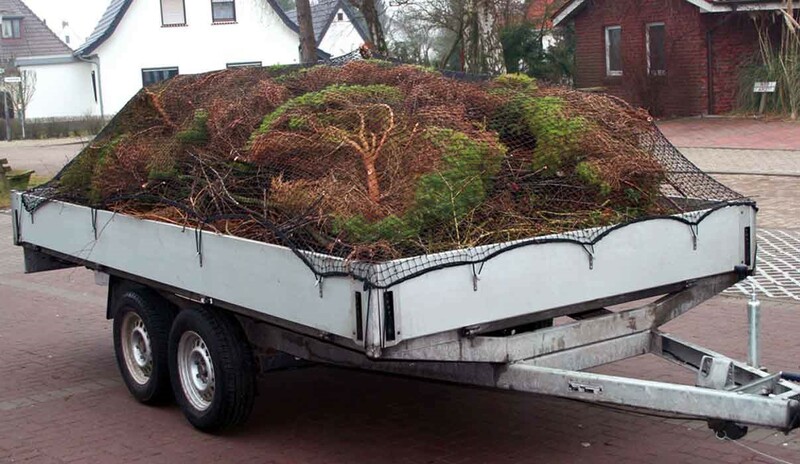 Due to it's own stiffness it is quite easy tu pull the net over rough and bulky cargo. Trailer nets made of polyethylene twine don't tangle that much with scrub and spinous bushes. That's why these nets are preferred by landscapers, gardeners and farmers. Attention: Heavy goods have to be secured separately by using belts or other means.